Your search for a professional Orthodontics in Osborne Park concludes when you find yourself at our Dental Clinic Osborne Park. We guarantee that you will never want to visit any other dental clinic in the area once you have been treated by our dental professionals. In fact, we have helped thousands of people in the area regain their self-confidence by fixing their tooth related problems. You may require orthodontic treatment in cases such as when you have crooked teeth, have gaps between them, or are suffering from an overbite. 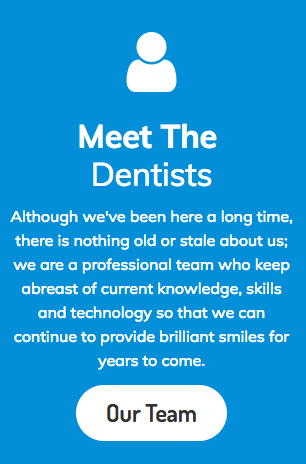 Our dental care professionals, can easily fix your bite and help you regain your straight and confident smile. People often believe that only children may benefit from braces. However, this is not the fact. People of any age group can benefit from orthodontics. However, in order to assess whether this special type of dental treatment is suitable for you, please speak to our specialists in Orthodontics in Osborne Park. They will help you understand the types of dental problems that can be solved by such a treatment, plus the several advantages of orthodontic treatment. In most cases, your journey starts with paying a visit to the dentist. 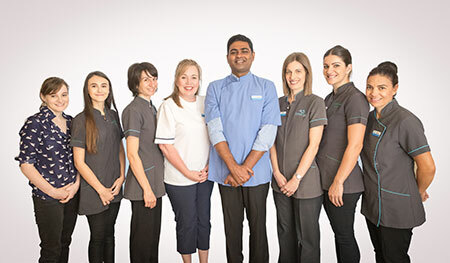 He will, after assessing the condition of your teeth with the help of X-rays, suggest that you schedule an appointment with us and get your teeth checked by our professional orthodontist who have years of experience behind them and have successfully helped restore the crooked teeth of thousands of residents of Osborne Park. There are many problems that our orthodontics in our Osborne Park dental clinic treat. This includes underbite or overbite, impacted teeth, gaps between your teeth, as well as crooked teeth. In cases where you have crooked teeth and your smile does not line up properly, then using orthodontic treatment which move your teeth gently to set them back in their correct position, will give you a well aligned bite plus a straight and smooth smile. Do not expect results overnight as the entire procedure can anywhere from one and a half years to three years to complete. The time taken varies from one individual to the other. Some of the procedures employed by our Osborne Park Orthodontic specialists for this include the use of traditional braces and other types of movement brackets. Thanks to the latest orthodontics methods we offer, in most cases you can easily move your teeth through the use of a variety of methods, include some excellent discrete options. A few of the benefits of straightening your smile includes producing a better profile of your face by realigning your jaws. This procedure helps you to improve your self-confidence as well. Additional benefits associated with orthodontics includes reducing the chances of loss of additional teeth, possible injury to your tongue or lips in case of protruding or broken teeth, as well as allowing you to effortlessly clean your teeth. This is because crowded or misaligned teeth poses problems in brushing or flossing them. Apart from this, having straight teeth allows you to speak effortlessly, as well as eliminates any pressure or stress on your jaw joints, plus reducing stress on your teeth’s surface. These are just a few of the benefits associated with proper orthodontic treatment. Schedule an appointment with our dental clinic Osborne Park today and let our professional orthodontics Osborne Park, check your faulty teeth and fix them.